Brittany called me one day and asked if I would be able to do some engagement pictures for them. She was one of my first clients that suggested we try a couple different locations for the shoot. And Brittany's vision was fantastic. I am talking ponds, cornfields, old trucks, a barn, and an old truck. Amazing. And ever since that day.... her style and taste never cease to impress me. This gorgeous floral arrangement was put together by Amber at Puffers Floral Shoppe... and wow...just wow. This phenomenal cake was made by Diane O'Grady from Sweet Blessings Baking. And it tasted as good as it looks. Everything you see here was edible... except the base that was beautifully made by family. This family contacted me last year in preparation for their 10 year anniversary. They were planning a vow renewal. Since then, I have been fortunate enough to have a few sessions with them. My very favorite thing about this photography adventure is the great clients I get to meet that turn into great friends. Thank you April, Brian, and Noah! This couple has the greatest family and friends, I met so many awesome people at their wedding. HA! This was so much fun... 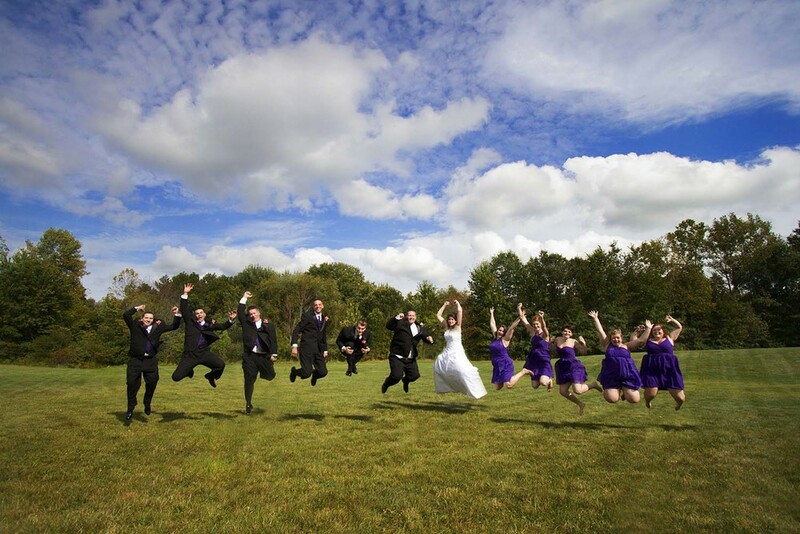 I think my favorite is the Best Man's cannonball... nice air everyone! I love catching the little details that should get more attention... this bible belongs to Uncle Edwin Jones, as you can see in the engraving on the cover... this was the bible used during the service that he officiated. 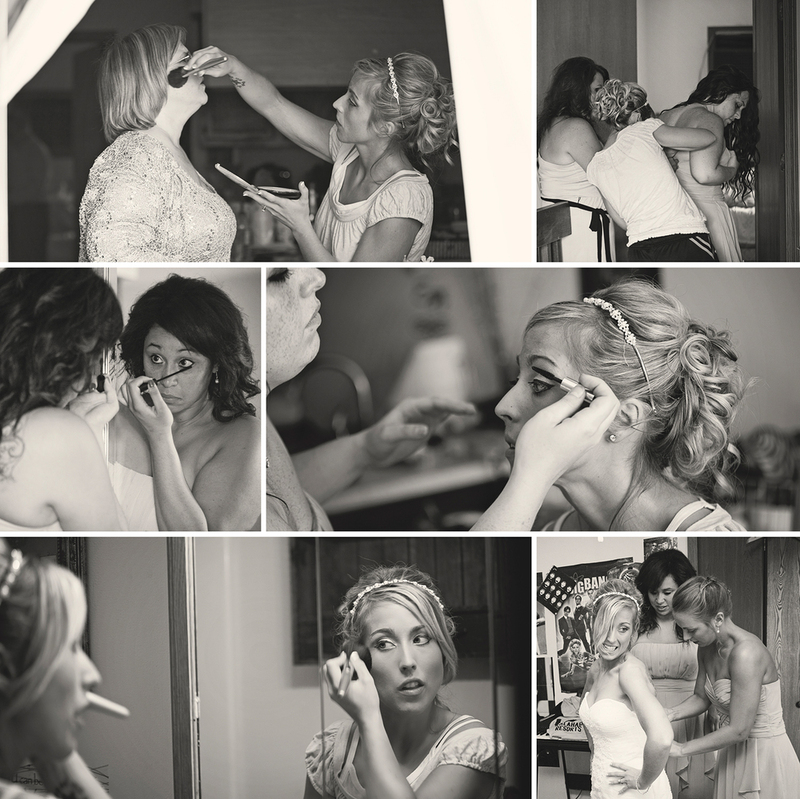 The ladies helping Lauren get ready, a gift from the groom, and the father of the bride practicing walking his only daughter down the aisle. The entire ceremony it seemed like Nick and Lauren were in their own world. It was a BEAUTIFUL day (started with dark gloomy rain) that couldn't have been prettier. Made a quick stop at the Winking Lizard Tavern... cheers! Best man Austin and Maid of Honor Ami making their toasts. I cannot possibly put into words how touching this moment was. Most of this dance, between father and daughter was all smiles and laughter, but just near the end was this final moment. A moment when a father says goodbye to his little girl. Miss Kelsey in the middle there with the crazy face was on the dance floor ALL night! This crowd sure new how to party, from the Polka to the Electric Slide... they got down! I wish you a beautiful happy ever after! This young woman was actually a guest at my wedding 14 years ago (whoa!). So you can only guess how awesome it was when she contacted me to photograph her wedding. This beautiful couple's love for each other was so obvious and it was my pleasure to be a part of their special day. I love catching the details of the morning's wedding preparations. This is a great time for me to get to know the bridesmaids a bit. Thank you Sara, Ashley, and Leanna, you were all such a big help! The color scheme was so beautiful and really shined on this very very hot August day. Look how lovely these ladies are! This park had the most beautiful view. The sky and water were so blue... the gazebo was just perfect for their very personal ceremony. Justin is reading his vows that he wrote himself. I don't think there was a dry eye in the house (me included). The vows were so real and very personal. You can see he really values and appreciates Jen. The beautiful bride and dashing groom! Jen's maid of honor was her sister Sarah. She made a beautiful toast and then it was time to get their cake on! All is forgiven... after she got the icing out of her eye. I love how this couple could have so much fun with each other. Many more years of laughter to come. Sometimes, coworkers can be your best friends! And this is when the evening changed! Cheers! Justin and Jen had a super great group of friends and family that definitely made it a great evening. All the single men... get your hands up! This was truly a winter wonderland wedding. I remember when I arrived at the church that morning, I couldn't even tell where to park. A huge blanket of snow had covered everything and it was beautiful. Not even freezing temperatures and a foot deep snow could stop these two!